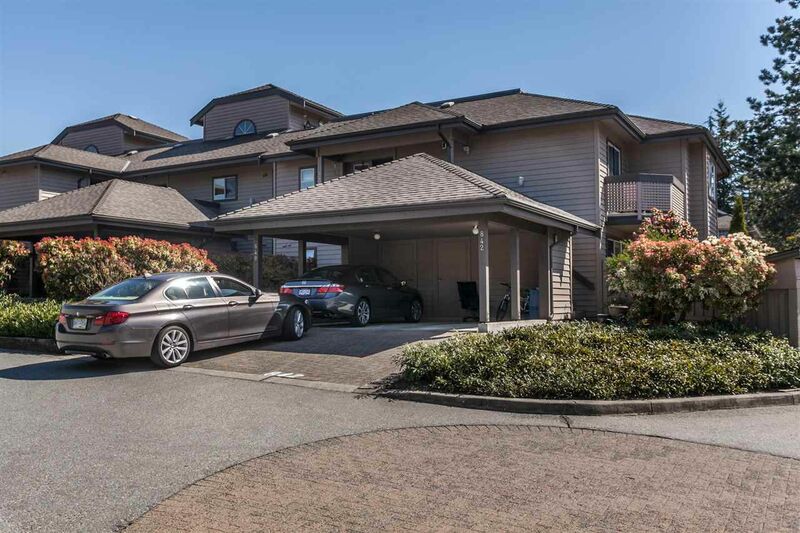 Wonderful one-level, ground floor townhome in "The Fairways". This 2 bedroom, 2 full bathrooms has great floor plan with generous room sizes, gas fireplace in living room, informal eating area in the country-style kitchen and more. Great outdoor areas with 2 private patios overlooking a nice lawn area. Walking distance to Parkgate Shopping Centre, library and recreation facilities. Plenty of storage with a huge crawl space as well as storage locker off the carport. One pet is permitted (cat or dog), rentals restricted to 2 suites-both taken, All Residents MUST be 18 years +, smoking not permitted on common property. It is an easy move from a home to 840 Roche Point because of the room sizes. Call today to book your private showing today.